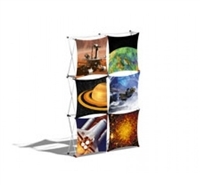 Our are a perfect for those who require a versatile yet ultra-portable display. 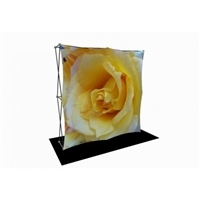 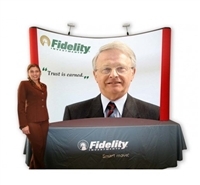 These table-top exhibits are lightweight, affordable, and especially well fitted for sales or product demonstrations. 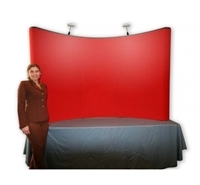 Use them for your traveling sales team. 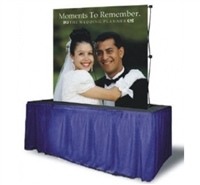 They are also well suited for lobby and office information display arrangements. 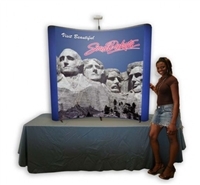 They have the power to draw the attention of visitors and make them pause for a few minutes to see the messages and graphics. 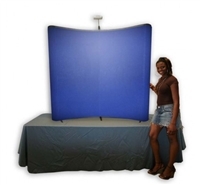 Our Table-Top displays are easily transported, and can be assembled in seconds by just one person.